On this special Real World Radio edition, we gathered the voices of rural and urban activists from different parts of the world, who told us about their mobilizations and actions around this fundamental day of popular struggles, and about their main demands and local/regional banners in the context of these struggles. 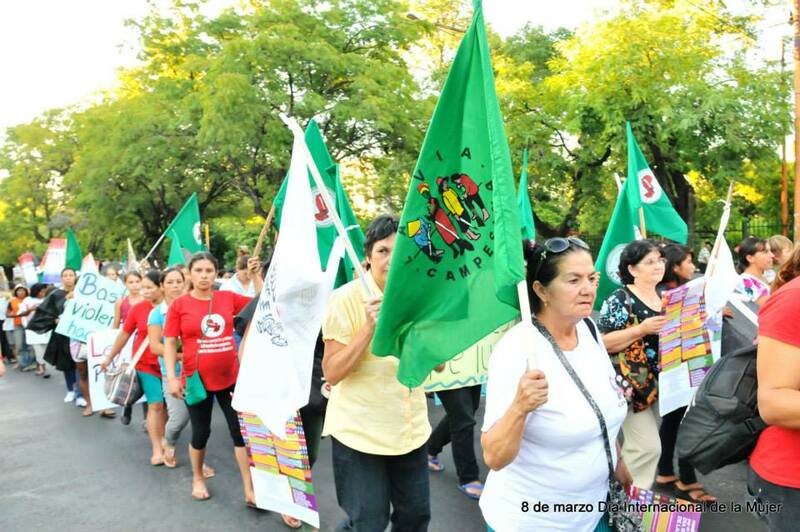 Leaders of Via Campesina and the World March of Women (WMW) from the Middle East, Europe, Africa, Latin America and Asia talked about the mobilizations around March 8 in their countries and regions. We start in the Philippines, where member of the World March of Women, Ana Maria Nemenzo, told us that one of the main struggles of women in this country is related to the right to land. The feminist activists held an intervention in a shopping mall owned by one of the largest real-estate developers of the country. “These real-estate promoters are building shopping malls and apartment buildings for the rich”, said Ana Maria. “We said “No to the corporate occupation of our lands” and we said “No to the occupation of our bodies”. Because part of the impact of corporate-led privatization, which is very aggressive in our country is to take away lands, spaces in urban centers and driving the poor away, demolishing their homes, throwing them out to the streets, throwing them out of the city”. The struggle for sexual and reproductive rights was another of the demands highlighted on March 8 in the Philippines. “Women under this kind of system, where corporate profit is prioritized over peoples´ welfare, where corporate profit also oppresses women, because when homes are demolished, women are affected. When companies go to the countryside, to the mining areas, they are also threatening farming and indigenous communities. And women suffer more because they become vulnerable to violence, trafficking and prostitution. So we fight against poverty and landlessness”. Turkey, a country that a few months ago was the stage of strong protests against the ultra-right wing administration led by Prime Minister Recep Tayyip Erdogan, saw once again several thousands of demonstrators on the streets of its two main cities, Ankara and Istanbul, but this time they were all women. 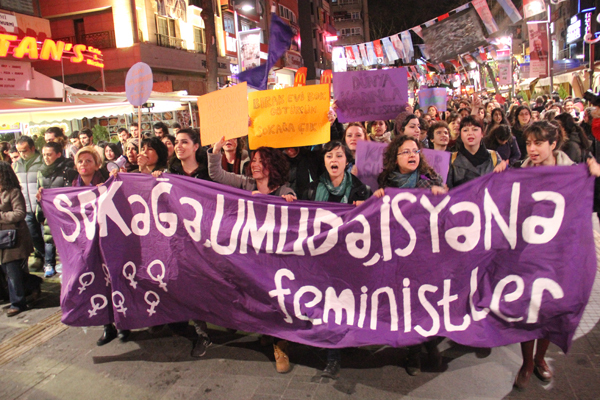 Yildiz Temurturkan, activist of the World March of Women in that country, told Real World Radio about the main achievement of feminist activists in this country, when they broke the ban to demonstrate in Istanbul. “After the protests in Istanbul last June, the government banned all types of demonstrations in the cities, especially on Taksim Square. The police violently attacked demonstrators then and didn´t allow protests by any group. But women managed to crowd the avenue on March 8th. With their torches they marched together and broke this ban. On March 8,, in Ankara, Istanbul and other large cities there were 2 or 3 times more people participating in women´s marches. There was a lot of emotion and strength". Understanding the close link between neoliberal policies and the violation of women´s rights is also clear in the analysis of Paraguayan women groups. This is what Esther Leiva, coordinator of the Organization for the Struggle for Land, said to Real World Radio. 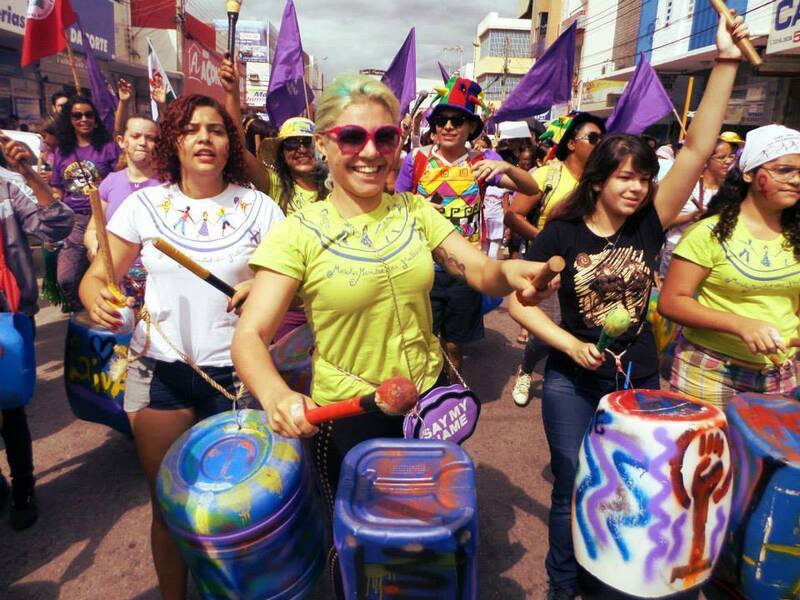 In Paraguay, 34 organizations took to the streets to commemorate March 8 in a delicate social and political context, where, according to Esther “each day there is more discrimination. The situation of women is worsening and the violence against us is always left unpunished”. The return of a stronger-than-ever neoliberalism, in addition to conservatism, has fallen on the European continent in the past years. However, the resistance against it by social organizations and movements is also growing. In an interview with Real World Radio, Mari Carmen Garcia, member of La Vía Campesina International Coordination Committee, said that “each day the women´s struggle in Europe for the right to access land, for the right to recover our native seeds, is clearer and clearer”. This year, Brazil will host the World Cup of football organized by FIFA, a mega-event that has been criticized and resisted with demonstrations around the country. 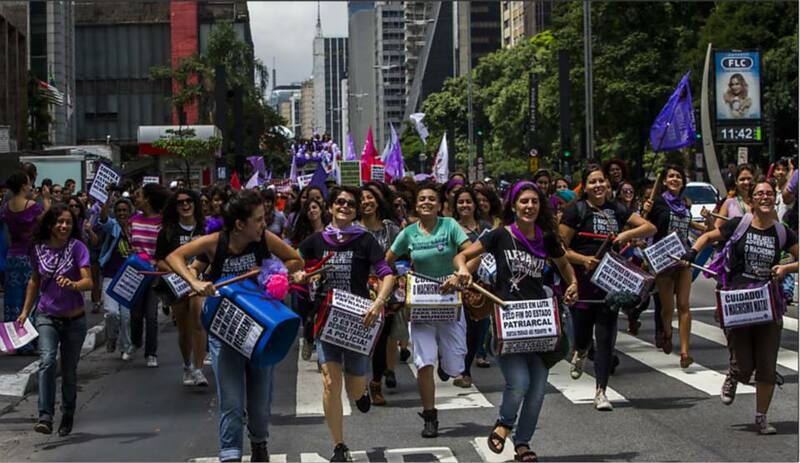 Adriana Vieira, activist of the World March of Women, explained why this mega-event was in the agenda of March 8 in Brazil. 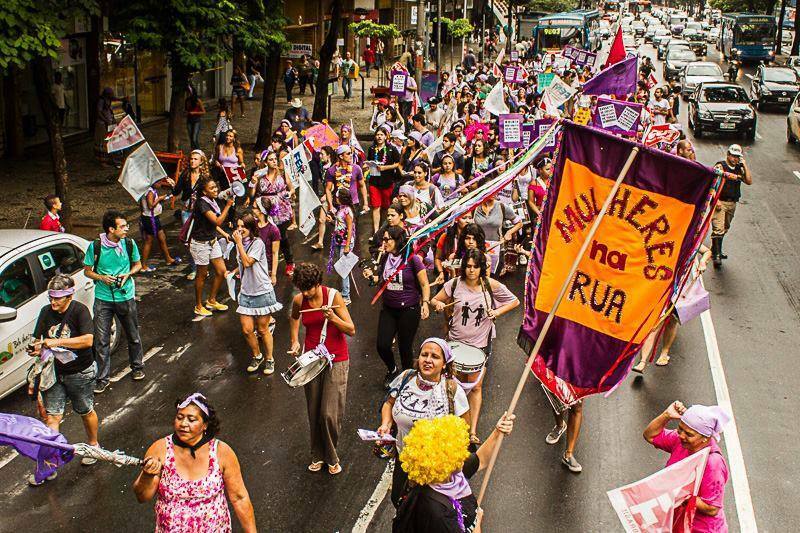 The agenda of Brazilian social movements includes a key moment this year. Over 100 organizations and movements are focused on the plebiscite that will take place in September 2014 to allow for the creation of a constituent assembly to modify the political system. This issue was also present on March 8 in Brazil. Peasant leader of Zimbabwe, Elizabeth Mpofu, is the current international coordinator of La Via Campesina. From this role, she said to Real World Radio: “we encourage our members, whether in Africa, Europeo r Asia to mobilize and take the streets to fight for our rights as women, which implies to fight against capitalism and patriarchy”. "African women, as we speak right now, are not being respected, we are not being given the opportunity to become leaders in whatever society we are because we are really threatened to be people who don´t know exactly what they want or who they are. This recognition is very important, even at the family level. You find out sometimes that women don´t have a voice in their house. If you try to give advice they will just tell you don´t have the right to say anything. Another problem is when the husbands die, the relatives will come to claim the properties, when they haven’t even sweated for them. There is a lot of trouble for every African woman who are not aware of their rights, are not trained, don´t have that capacity and end up leaving their homes and kids suffer. This is what is happening to African women". Like the other women interviewed by Real World Radio for this special report, Elizabeth believes the work in defense of native seeds and to recover land is key in the struggle of African Women. At the end of the interview, Elizabeth sent a message to all women struggling in the world, and especially in Africa, on the International Women´s Day. “My message to the women in Africa is that maybe together, every women together, we can do it, we can rise, we can fight, we can struggle against all the different challenges we are facing today. 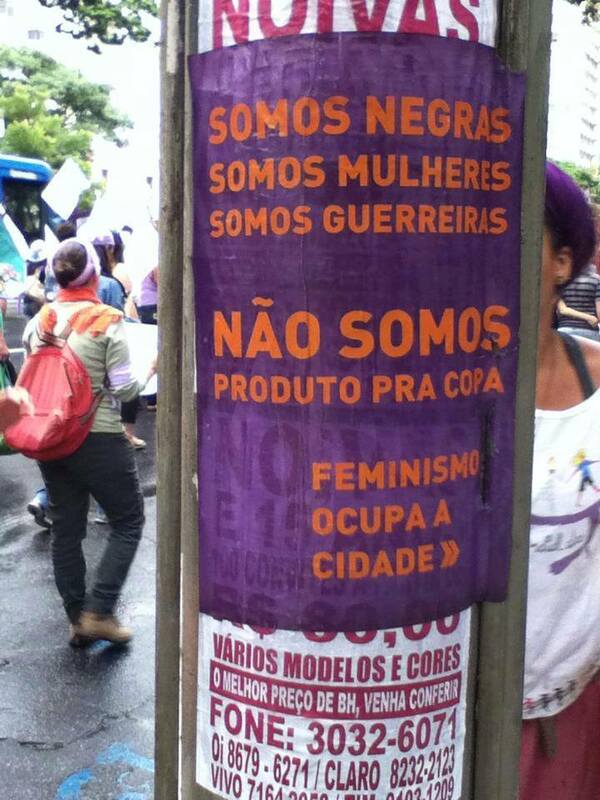 We really want to demand equality in rights and also the respect of our culture and the respect of our agenda. We really want to globalize the struggle and also we are going to globalize our hope”.